The International Insular Art Conference series is the established forum for international scholars of early medieval art and iconography from Ireland and Britain (ie manuscript illumination, stone and wood sculpture, metalwork and glass). The Conference convenes every four years. Please use the above menu to inform yourself about the Programme, accommodation, how to register or the planned Conference Outing. The conference dinner takes place on Saturday, 19th July 2014 at 8pm in the Westwood House Hotel, situated just a short walk away from the Conference venue. Guests will be treated to a Prosecco reception on arrival followed by a four course dinner with wine. Entry by ticket only – Ticket cost is €35.00 per person. Tickets will be available for purchase/collection at the Conference Registration Desk. Please Note: If you have already booked Package C, your conference dinner ticket is included and there is no need to register your interest. 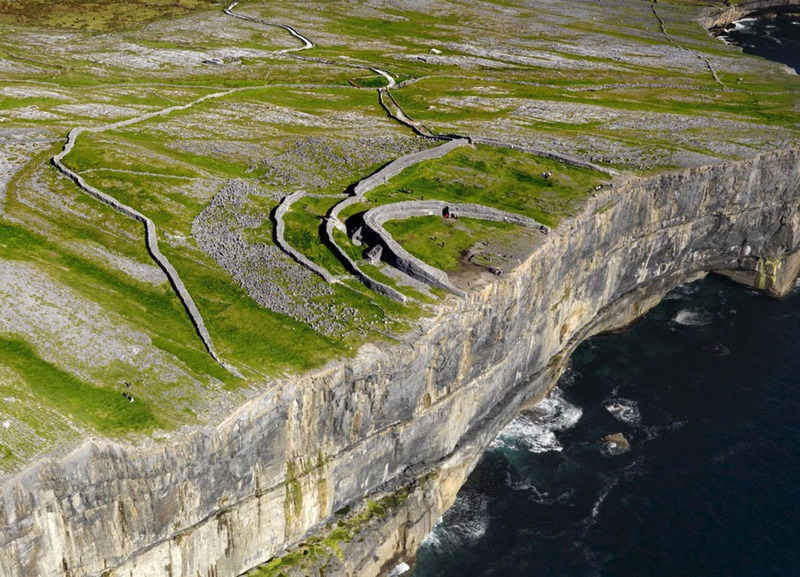 We are delighted to announce that the Conference Outing will be to Inis Mór, the largest of the Aran Islands.